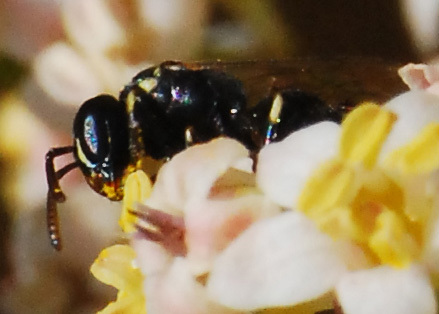 I wa shooting Perdita and other small bees and figured this specimen for yellow-masked bee. Did I get it right? It's the best shot I have of one to date, thanks to a new close-up lens.